The Fitzgibbon Stormwater Harvesting Project, which will supply around 89 million litres of treated stormwater for parks and gardens, toilet flushing and car washing. The scheme will divert captured stormwater to a lake, where it will later be treated and distributed throughout Fitzgibbon Chase. Fitzgibbon Potable Roofwater Project, will harvest rainwater from 1,230 homes in the new development for collection in communal tanks. 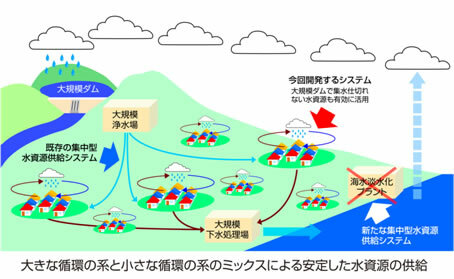 This project is jointly funded by the Japanese Government and will enable rainwater to be treated for non-drinking uses, producing about 44 million litres of new water supplies.